It has long been known that warm-up before physical exercise can improve your performance significantly. In many of my training programs, I actually recommend you to perform an incremental warm-up before interval training really starts. Metabolic processes are temperature-dependent, thus many enzymes perform better at higher temperatures. Oxygen transport from blood to tissue is more rapid. Faster transmissions of nerve impulses. Bottom line is that your body is better prepared for severe exercise after doing a proper warm-up. In my opinion it’s an easy decision whether you should warm-up or not before important events. 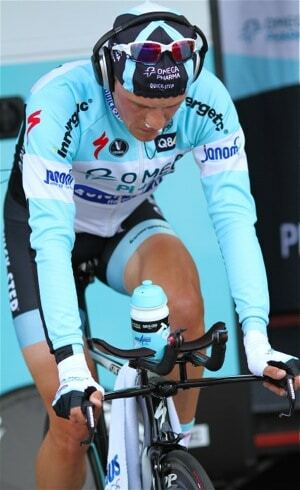 If you want to deliver the best performance in cycling races e.g. time trials then you should definitely learn how to warm-up. The best place to figure out what is the best warm-up protocol for you is when you perform difficult intervals. Start at low workloads. If you begin at a high workload, you spend too much anaerobic power too early due to oxygen dept. It’s demotivating and might decrease your performance. Make small increments in workload. When you’ve started your warm-up your oxygen consumption will go up. If you make small steps in workload during the warm-up, you will to a large degree avoid oxygen dept. That will prepare your body for the most important part of your training session: The interval training. 1. Begin easy pedalling, ~100Watts. 2. Every 2min, increase workload ~35-50Watts depending on fitness level. 3. When you hit the lower limit of your heart rate target zone, take a short break. With FTP of 270w, I assume 35w increase is to be used. Is target HR the max HR I typically reach for the given session, i.e. different for an FTP session and a VO2max session? Seems that VO2max session HR would be too high for WU, no? I gave the quick warmup routine that you outlined a try this evening prior to performing my threshold intervals. 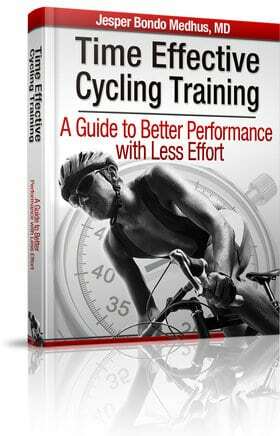 It seemed to work well for me compared to my normal warmup of just pedaling at a moderate tempo for 10-15 minutes. I wasn’t used to getting my heart rate quite that high in my warmups so I was a bit worried that it would tire me out and leave me a bit flat for my workout, but the 5 minute easy pedaling at the end allowed my legs to recover a bit without cooling down too much. I’ll try some variations of it in the coming weeks and see how it goes. Thanks again for all of the great information you provide on your site! Hi jesper, also tried your protocol yesterday evening. Normally my warm up would be a few minutes of spinning followed by a far more rapid ramp up of power. The main difference that I noted was that when I started training in my power zone I noticed a lower initial heartrate and it felt easier, maybe reflecting your point about avoiding oxygen debt. I will certainly take my warm up more seriously in the future and try experimenting. I gave your warm up a go today before doing your anerboic power 2, I do not have a power meter so I started in a 39/17 and every 2 min I dropped a gear and keeping up the same rev till i reached my lower heart rate limit (about 13 min), I found it a better warm up than the one i do, I felt better because there was less lactic acid build up and my heart rate was not as high. I will be using this from now on warm on as warm up must be the key for good performance. P.S Great site good programs and good tips it’s hard to talk to some guys out there about training or food ect. So it good that some1 has done this for free !! My traditional warm-up is a very easy cadence on the bike for 10-15 minutes. I never really paid attention to my heart-rate monitor to see where my HR was. Using your warm-up, I spent 15 minutes and increased the gear every 2-3 minutes. 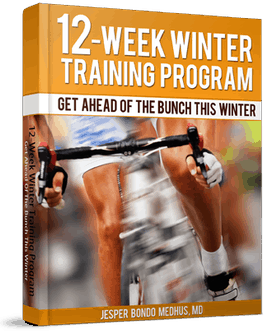 I felt the increased warm-up period did help with my interval training in the beginning. I was able to hit harder gears and felt the “effort” involved in the first 15 minutes of interval training to be easier. Afterward the 15 minute mark there wasn’t much of a difference in terms of perceived exertion. What should the cadence be? 80-90 or 90-100 rpm? Thanks. Think your warm up worked pretty well today, though perhaps a little too frequent with the 40 watt increments I did every 2 minutes. Tomorrow I’ll try it with 30 watt increments every 3 minutes and see where a “happy medium” might lie. Feels good to actually have a structured warm up as it goes much quicker when you’re thinking about the required effort level and next step change. Keep up the good work with the site! I personally aim to keep it around 90 RPM, but that’s just me. Of course as the intensity increases and you get close to the end of the warmup you may naturally have to slow the cadence down a bit. Since this is for warmup purposes I’d recommend a cadence no lower than 80 RPM, but it really has to do with what cadence feels right to you. Your cadence will also affect your heart rate. A higher cadence at a given wattage will make your heart and lungs work a bit harder than a lower cadence at the same wattage in my experience. If you spin too fast you may reach your target heart rate too soon and the warmup could leave you a bit tired for your main workout. I tried this today. It certainly forced me to slow down and do a more complete warmup. Even though I try to spend some time warming up I wonder if after 45 seconds I just start going without finishing the warm up. I don’t operate using watts so I’m going to have to play around with my effort levels to get them to what I need. The first, and only time so far, I think I was putting to much effort into the warm up. As for my workout, it felt similar as usual but I’m hoping that I’ll see the benefits once I tailor it a bit more. I found this warm up really useful. I normally just spin for 15 minutes before doing my session. No real plan for the warm just turning my legs over. Your plan gave me astructure to it. I like another comenter was concerned that I would be coming into the interval session already having used too much energy but infact didnt feal like that at all. i also found the first couple of intervals easier than usual – I guess being more warmed up helped. @VO2overFTP – 35W every second minute would be almost perfect warmup for VO2 max intervals since this protocol is made to reach VO2max during test procedures. Hi Jesper – regarding heart rate monitor and use. I am having a problem relating to resting pulse rate(RPM). My monitor a garmin forerunner an expensive model only gives me an average. When I wake up it seems to be low 70’s. However, I am 65 years old and spin twice/three times weekly. My max is 173 bpm and I usually average out at 140bpm over 2 hour sessions. My recovery is I think very good as within 10 minutes I am down to 110bpm and thats driving home! Obviously for my age the 173 is high but I appear to beable to train at 165 without stress for 20 minutes at a time. Please advise on where my safety and stress areas need to be for a man a little over weight for 1.7m and 88kg. However I have always kept fit and healthy and there is no heart problems in my family history. In fact my father died last year at 90 year and my mother is 90 years old but we both have high cholestrol. I’m interested in your response to Mike since I’m in a similar situation. Thank you! Spinning – Is it for real cyclists?